Revelations about how much of our online activity is under surveillance have left many people wondering what’s left for digital security- or where the next frontier is. But digital security is not one-size-fits-all, and it never has been. 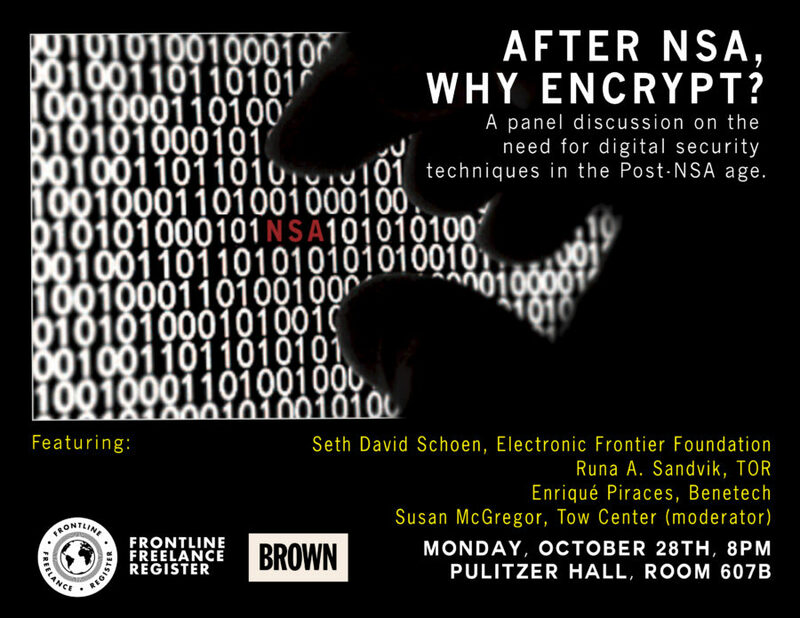 For journalists, encyrption, digital security and privacy issues are perhaps more important now than ever before. The Frontline Freelance Register has partnered with the Brown Institute to present a panel discussion on where we can go from here- and why all is not lost. Sign up here.